Austin Health Care Fraud Defense Lawyers - Oberheiden, P.C. Just like the rest of the country, Austin, Texas is currently experiencing new heights of federal health law enforcement. The two focus groups are (1) Medicare providers like cardiologists, internal medicine physicians, home health and hospice agencies, and DME companies as well as (2) physicians and pharmacies that prescribe, fill, or administer controlled substances, in particular opioids. If your practice is under audit, accused of fraud, under investigation for Austin health care fraud or kickbacks, or simply interested in preventive compliance measures, then Oberheiden, P.C. can help you. Oberheiden, P.C. is a Texas health care fraud defense firm with offices in Dallas, Houston, and Central Texas (right outside Austin). Our lawyers are known for delivering effective assistance to physicians, medical providers, and health business owners against audits, investigations, and fraud accusations. These accomplished attorneys are all on standby to answer your most pressing questions in a free and confidential consultation with Oberheiden, P.C..
Oberheiden, P.C. does not use junior lawyers or associates. Call us today to speak to former Justice Department officials and lawyers with specific experience in the area of health law and fraud defense. Health providers and businesses in Austin and surrounding communities must be aware that their practice and operations are under increased scrutiny. Oberheiden, P.C. has successfully defended physicians, nurses, therapists, and many other medical professionals against allegations of malpractice and professional misconduct. We routinely appear before Austin medial boards and Texas State Board of Pharmacy. From our representations of pharmacies, toxicology labs, mental health groups, psychiatrists, psychologists, dentists, nurses, and other Medicare and Medicaid providers throughout Texas we have seen the aggressiveness of current investigations. The following types of health fraud allegations are among the ones most frequently prosecuted in Austin and Central Texas—and require early and vigorous intervention by experienced counsel. Prescription Drug Fraud. After the government’s repeated announcement to prosecute physicians and pharmacies alike that the government considers contributing factors to the national opioid crisis, it is no longer a secret that the government has begun to deliver on its plan. Throughout the country and throughout Texas, federal prosecutors are tasked to identify doctors of pain management, internal medicine, family medicine, psychiatrists, and pharmacy owners for alleged violations of the Controlled Substances Act. Our experience in this area is unparalleled. Several of our attorneys previously supervised DEA, online pharmacy, pharmacy, and opioid investigations at the Department of Justice; we can advise clients competently and effectively as to how to prevent becoming a government target, or how to defend against charges denying medical necessity or deviations from the standard practice of care. Anti-Kickback Statute (AKS). A significant number of Austin health care fraud investigations claim a legally inappropriate financial relationship between physicians and health partners such as a toxicology lab, pharmacy, hospital, or home health agency. While the law is very clear that physician joint ventures with non-physicians are not prohibited per se, the key in defending allegations of Anti-Kickback violations is to understand the law and to have the experience of negotiating with prosecutors and federal agents. Attorney Nick Oberheiden has resolved a large number of civil and criminal AKS cases in Texas and throughout the country. He is known for his compelling presentations at various U.S. Attorney Offices and his ability to explain and clarify potential misconceptions. If you are accused of AKS violations, be it in form of an OIG subpoena, a letter from the government, or even as part of a criminal case, please do not hesitate to contact Nick for reliable and proven advice. Stark Law. The Stark Law differs from the AKS in a number of important ways. First, Stark Law only applies to physicians, not to be business owners. In fact, Stark Law prohibits a physician to refer business to an entity in which that physician or the physician’s close family member (e.g. spouse, brother etc.) has a financial interest. Two, Stark Law is a civil statute and violations do not result in criminal charges or incarceration. That said, Stark Law is a federal health care fraud statute that remains heavily enforced. Many Stark Law cases involve an OIG subpoena or some other form of notice from the United States government, the Department of Health and Human Services (HHS), the Office of Inspector General (OIG), or the local U.S. Attorney’s Office in Austin, Texas. Attorney Nick Oberheiden has successfully resolved Stark Law allegations and defended his corporate and individual clients before U.S. Attorney Offices throughout the country. In each case, he avoided a referral of his client to the criminal division. Medicare Fraud & Medicaid Fraud. The Texas Attorney General and the federal Justice Department in Austin have noticeably intensified its case-loads and investigations against providers and health care business owners in Austin and surrounding neighborhoods. Cardiologists, dentists, DME owners, home health care providers, and many others with high numbers of Medicare or Medicaid patients have engaged Oberheiden, P.C. to defend against unjust charges and wrong allegations. Medicare and Medicaid fraud charges are extremely serious and if you are accused of fraud, you should not hesitate to contact us immediately. The sooner we will be able to represent you, the higher the chances that we can avoid or mitigate charges. Please call us today for a free and confidential consultation to discuss your situation. We are also available on weekends. The Federal False Claims Act. Perhaps the most frequently enforced health care statute is the federal False Claims Act, a very harsh statute that sanctions submissions of false or fraudulent claims. While most FCA investigations are civil in nature seeking recoupment of overpaid monies, a bad defense case or more extreme violations of the FCA can lead to criminal prosecution. Nick Oberheiden has represented many Texas individuals and companies against false claim accusations. Not a single one of our clients ended up with criminal charges and a substantial amount of cases resulted in no fees, no fines, and no impact on the business. Because Nick understands what prompts False Claims Act cases and how to work with investigating agencies such as the Office of Inspector General, the Department of Health and Human Services, and the U.S. Attorney’s Office, we can cure many alleged violations by providing clarifying explanations or by making compelling health care defense presentations in front of prosecutors and federal agents. Whether the allegations against you stem from former employees (as they do in 8 out of 10 cases) or originate from competitors, Oberheiden, P.C. will surprise them with a forceful action plan and counterstrike. Oberheiden, P.C. 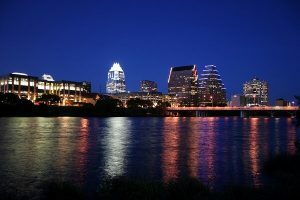 is available to take your call or to schedule an appointment in the Austin area with one of our senior lawyers. If you or your practice is under government investigation or received notice from the U.S. Attorney’s Office in Austin, which is located at 816 Congress Ave, Suite 1000 in Austin, Texas 78701, or the Western District of Texas, you should immediately call Oberheiden, P.C.. Ask for our first impression of your case and ask us how we helped clients like you in the past. Often times, the difference between being prosecuted and being left alone is the experience of the lawyer involved. Oberheiden, P.C. will dedicate all resources to free you from fraud allegations. Call our lawyers today to discuss your case, including on weekends. Oberheiden, P.C. delivers profound familiarity with the rules governing the health industry and, specifically, proven results when it comes to fighting government investigations. Oberheiden, P.C. combines compelling negotiation and trial advocacy with decades of government experience. The following are among the most frequently asked questions from our Austin clients. Q: Which federal government agencies conduct health care investigations in Austin? Our firm has substantial experience with all of these agencies as former federal prosecutors in charge as well as in our defense work for Austin and Texas clients. Q: Am I required to answer questions from federal agents? Absolutely no. If federal agents approach you for an interview, confirm your identity and insist on having an attorney present. That is not just normal and your constitutional right, but it is also the best way of avoiding getting entangled into a pending investigations. Statements to agents cannot be taken back. More so, agents will often not tell you what the true story is, whether the investigation is about you or someone else, what your role is in the case. If they do share information, agents have the right to lie to you, which they often do for tactical reasons. If you, however, lie to them, you commit a felony pursuant to 18 U.S.C. 1001. For all of these and many more reasons, please consult with experienced federal criminal defense or federal health care fraud defense lawyers before you make any statement to the government—even if you feel like you have nothing to hide. Q: If I know that my practice has overbilled Medicare, do I have to disclose this to the government? Indeed, there is an option to report Medicare issues to CMS. However, such a voluntary self-disclosure should not be made without first consulting with experienced Medicare fraud defense lawyers. While our attorneys have navigated providers through numerous self-disclosures, we have also advised others against it to protect them from self-incrimination and from possibly self-creating a criminal case against them. If you have concerns about your Medicare billing or have been contacted by way of an audit or government notice, please contact us immediately. Especially at the early stage, much can be done that can save you lots of costs and time. Austin health care providers seeing or billing Medicare patients can count on Oberheiden, P.C.. If you are or if you think you are under audit, investigation, or subject to professional board action, you should speak with senior attorneys at Oberheiden, P.C.. We offer free and confidential consultations, including on weekends, or office visits, by appointment. Contact us today.